Okay, so the real truth is that a lot of women are looking for ways to lose weight and there’s so much information out there and no one knows what the heck to believe. A friend of mine sells Doterra essential oils so I bought the “Slim and Sassy!” Who doesn’t want to be slim and sassy!? I know I do…. In any case, I started doing the 21 day Fix with Beachbody about a year ago but resisted the Shakeology part of it because, quite honestly, I just found it too expensive. In any case, I just recently became a Beachbody coach. Why? To hold myself more accountable. To get with the program. To finally get in shape. 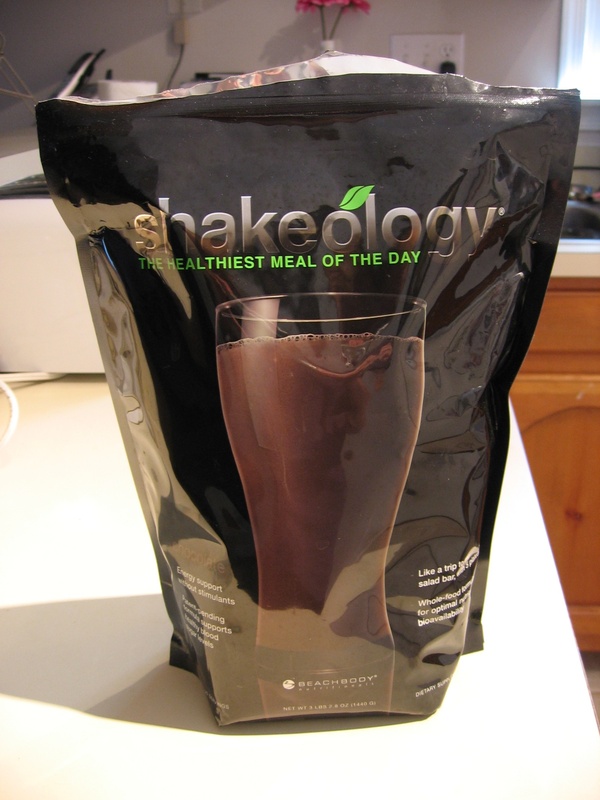 So, I’m going to start using the Shakeology more regularly. It’s actually pretty tasty and it comes in a whole bunch of flavors and when mixed with a frozen banana it’s pretty good! 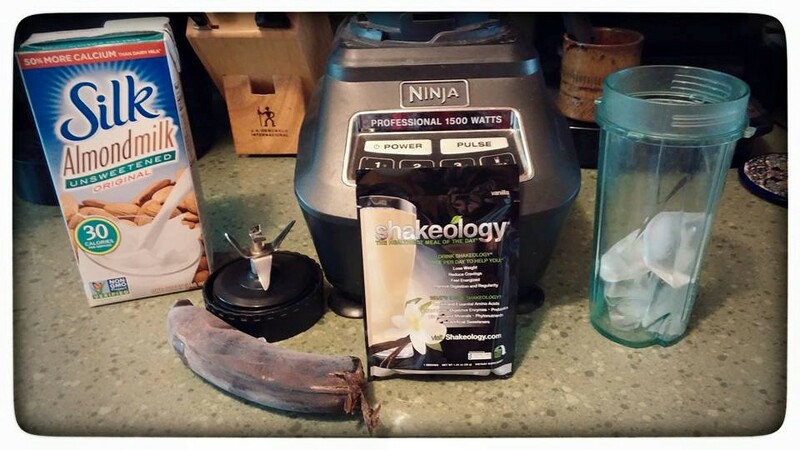 You may have heard the buzz around how Shakeology helps transform people’s health. Well if you’re wondering if the hype is true, it is. We even put it to the test! A BIG test. 97% believe it’s a smart investment in their health. * Shakeology is Your Daily Dose of Dense Nutrition™ and simply the most delicious, nutrient-rich, superfood-packed protein shake on the planet. Drink it daily—order yours today! If you want to know more about BeachBody feel free to email me or to check it out on your own (you can get a coach for free even if you don’t order anything.) I for one am going to start drinking it daily as an experiment…I’ll let you know what I experience and if I see a difference in energy, weight or what have you! Here is another training I will be attending! As a PC/PTE, a parenting assessor/evaluator, and a therapist of families who are divorced or living separately, it is important to stay abreast of the research on resilience. Resilience research shows us what strengths are most important in helping individuals overcome adversity and stress. In this case, it will tell us about which qualities to look for in families who successfully navigate difficulties such as divorce. It will be looking closely at what factors play the greatest role in overcoming the stress or impact of divorce on the family system and the children. Do you provide education or services to families who have experienced a family transition like divorce or separation? Do you need more information to understand the role that resilience can play in families’ family transition journeys? If so, then the Building Resilience in Transitioning Families Webinar is for you! Get an overview about resiliency research and recent developments. Examine the role protective factors play with regards to resiliency. Work together to generate ideas for how professionals can assist families in identifying and strengthening their own family protective factors. This webinar is being offered live on November 11, 2014, from 12-1 p.m. This webinar will be recorded and will also be available afterwards on this site. It costs $10 to attend; authorized providers of Parents Forever™ can attend for free by contacting Kate Welshons. A certificate of completion is available after completion. Angela Hanscom is a pediatric occupational therapist and the founder of TimberNook, which focuses on nature-centered developmental programming in New England. 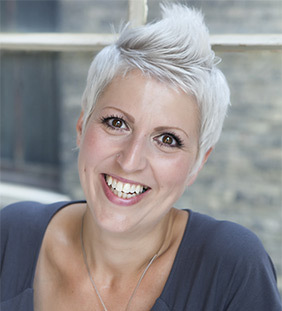 Angela holds a master’s degree in occupational therapy and an undergraduate degree in Kinesiology (the study of movement) with a concentration in health fitness. She specializes in vestibular (balance) treatment and sensory integration. She is also the author of the upcoming nonfiction book, Balanced & Barefoot, which discusses the effects of restricted movement and lack of outdoor playtime on overall sensory development in children. From the beginning, I quickly realized that the concept of TimberNook is “out-of-the-box” thinking for many people. Some don’t get it at first. The concept is totally foreign to them. Typically, when people think of occupational therapy, they automatically think of children with special needs. I’ve used my skills as an occupational therapist in an unconventional manner. I view nature as the ultimate sensory experience for all children and a necessary form of prevention for sensory dysfunction. What most people don’t realize is that pediatric occupational therapists are in a unique position to do something about a very real problem. More and more children are presenting with sensory issues these days. They are not moving like they did in years past. It is rare to find children rolling down hills, spinning in circles just for fun, or climbing trees at great heights. In fact, our society often discourages this type of play due to liability issues and fear of falls. The more we restrict children’s movement and separate children from nature, the more sensory disorganization we see. In fact, according to many teachers, children are frequently falling out of their seats in school, running into walls, tripping over their own feet, and unable to pay attention. School administrators are complaining that kids are getting more aggressive on the playgrounds and “can’t seem to keep their hands off each other” during recess. Teachers are looking for answers. Pediatric occupational therapists can help. We have the neurological background to explain why restricted movement causes behavior problems in children; why fidgeting is becoming more prevalent than ever before; and the underlying reasons why kids are hitting with more force during a game of tag. Pediatric occupational therapists can also use their unique understanding of child development to educate others on the therapeutic qualities of nature. For instance, they can explain how listening to bird sounds in nature helps to improve children’s spatial awareness, why spinning in circles establishes a strong balance system, and walking barefoot integrates reflexes that prevent further complications such as toe-walking. Traditionally, pediatric occupational therapists are found inside schools or indoor clinics. We’ve ventured out to start using animals and gardening for therapy in more recent years. However, I have to wonder…what if more occupational therapists started venturing out even further? What if they used giant mud puddles to get children to explore their senses more fully? What if they went deep into the woods to inspire children to think openly and creatively, while building forts and dens of their own design? What would occupational therapy look like then? I believe occupational therapists have great potential to use the sensory benefits of play outdoors to help children integrate their senses in the most natural of ways. Climbing trees. In a clinic setting, we traditionally have kids use a plastic climbing wall to work on full-body strengthening and coordination. What if we started letting kids climb trees outside for therapy? This is a little more challenging since trees are not color-coded. Children will need to use their problem-solving skills in order to scale the tree, testing branches as they go to make sure they are safe and sturdy. They would learn safety skills and the tree offers a nice tactile and natural touch experience as they hold onto the tree limbs during the climb. Playing in a mud puddle. Occupational therapists often let children play in sensory bins that are filled with colorful rice, beans, and sand. In order to fully maximize a child’s sensory experience and to make it even more meaningful, what if we allowed children to play in mud puddles during treatment sessions? Our mud puddles here at TimberNook headquarters are so huge that they also have real frogs and frog eggs in them. The kids have to maneuver through the mud, using their balance, visual scanning skills, and engaging their tactile (touch) senses as they search for a frog. Walking barefoot on a log. In the clinic, we often have children go barefoot on plastic balance beams, which have been engineered to be “sensory” with little plastic bumps. If we take children outside, we could let them go barefoot on fallen trees, enhancing their sensory experience on a multitude of different levels. Not only would they be experiencing different textures, but they would feel the sensations of moist versus dry, crunchy versus soft, noisy versus quiet, and changes in temperature. Hooking up therapy swings outdoors.Therapists are SO lucky when it comes to swings! We have just about every type of swing imaginable–all for a different purpose. If we brought them outdoors, we would only add to the sensory experience for children. Now they are exposed to bird sounds, the wind on their face, and the shadows playing across the ground as they are swinging. By taking swings outside, we engage all of their senses — not just the vestibular (balance) sense. Building forts. In clinics, it is very common and fun to have children design their own obstacle courses. This helps them with problem solving, creativity, and planning. If we took this outside, what might it look like? Children love creating forts of their own design, using everything from sticks and bricks to fabric and Plexiglas. They are still working on the same skills – only they are exposed to more sensory input, while igniting their imaginations at the same time. Nature truly is the ultimate sensory experience and the perfect medium for occupational therapists to utilize, both for prevention and treatment methods. It is time we step beyond the confining walls of buildings, take our therapy swings outdoors for fresh air, and use the occupation of play outdoors to enrich children’s lives. WHY I PRESCRIBE NATURE – by Robert Zarr, M.D. My mother was an English teacher and a Community College Dean. She was an amazing woman and she passed away this last week, one day before her 73rd birthday and the birth and death day of William Shakespeare. She had polio when she was only 11 years old but went on to be an incredibly successful woman who guided me through childhood and much of adulthood. In her honor, I have worked with some of her beloved colleagues to set up a scholarship to support first generation Latina women seeking higher education later in life. The scholarship will be given to a student wishing to study at Modesto Junior College where she served as a Dean in the final phase of her career as an English teacher and an administrator. If my mother were here today she would be so proud and amazed to know that she is part of a scholarship offering support to a Latino woman seeking to better herself through education!!! Love to you all. As you know, our former dean and “The Mother of Literature & Language Arts,” Dr. Brenda Robert passed away last week. She was a mentor and a friend to so many of us, and we hope to honor her soon at a memorial poetry reading where we can all get together to reminisce and celebrate her life. In the meantime, I know many of you will agree that Brenda’s influence was far and wide, and will not soon be forgotten, nor should she ever be. To that end, Ruth Luman and I (with Christina Robert’s support) have been working with the MJC Foundation to begin a scholarship in Brenda’s honor. In speaking to Christina about this, she relayed a story that her mother, Brenda, had told her. Back in her teaching days, Brenda recalled a student—an immigrant, a first generation, adult student and mother who felt compelled to return to school to provide a better life for her own daughters. She had a husband who was less than supportive of his wife’s aspirations to attend college, and he made it very difficult on her to complete her assigned tasks, questioning why she would even need an education. As Brenda tells the story, she explains that the student would have to hide in her bathroom in order to study, to read, to write for school. Imagine a situation where the bathroom sink is your only desktop— the toilet seat, your office chair. But this student was determined; she would succeed, and her story would inspire Brenda who has long admired courageous women, especially mothers, who persevere, seek higher education, and change their lives for the better. Brenda must have seen herself in her student: strong, courageous, driven to succeed despite the odds against her. I share this story now because these are the exact students who the “Brenda Robert Memorial Scholarship” hopes to target: first generation, immigrant, adult women who wish to pursue their education at Modesto Junior College. With the family’s blessing and with the support of George Boodrookas and the MJC Foundation, we are now set up to begin the important fundraising component to help endow this scholarship in order to make it available by next school year. So . . .to those who wish to give to the “Brenda Robert Memorial Scholarship” fund, please make checks payable to the MJC Foundation, 435 College Avenue, Modesto, CA 95350 and include “Brenda Robert Scholarship” in the note field. Thanks for reading this and for thinking about Brenda at this time. I wish you all great luck during finals and a restful, restorative summer break. My Pinterest friends and I decided it would be fun to try and make Gummi Bears. They ended up being more like Jello square or Knox Blox (if you remember those) or Fruit Animals, depending on the mold you use. We used strawberries for one batch and orange juice for another. You can mix and match and go crazy with any blended fruits. Here is the fresh fruit we pureed using the immersion blender with some lemon juice, water honey. It was brought to a low boil. 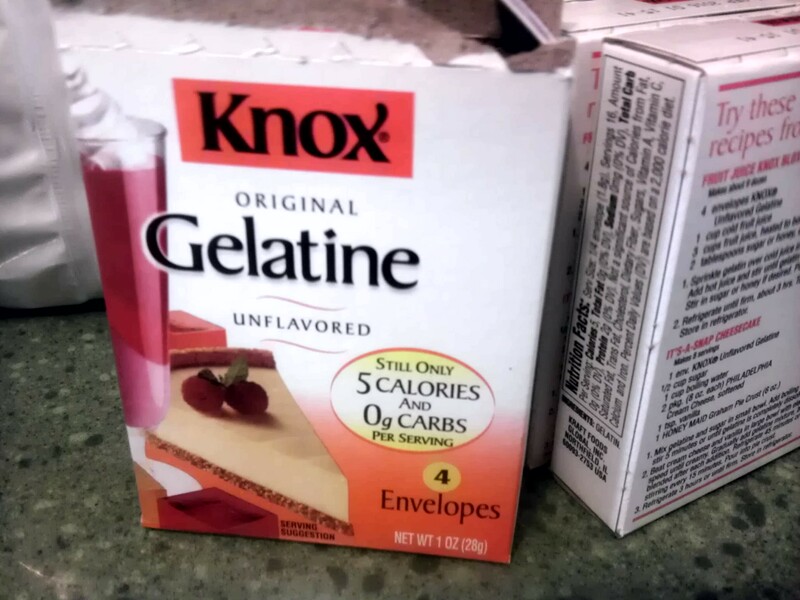 We whisked it constantly while adding the gelatin. 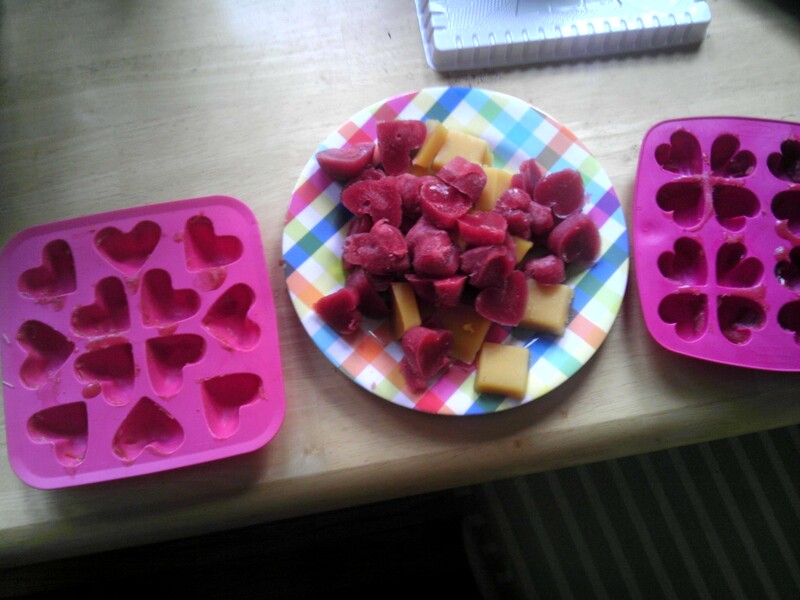 We used about 3 TBS of gelatin per 1 1/2 cups of fruit or fruit juice. You could experiment to see how much you do or don’t need. Here are the molds we used. They are cheap at Ikea. It was pretty hard to get the fruit out of the molds. You put them in the freezer for 20 minutes, according to the recipe. You almost had to bring them back down to room temperature in order to get them out. After this batch I made another batch with orange juice and lemon and then just put the mixture into a glass loaf pan and put it in the fridge and it set up in a few hours. Then I just cubed the jello. Ready to serve and easy to get out of the pan. It would be a good food for babies and toddlers too. So the website above makes it look easy and perfect. Not so much. But I do like what I learned and I will be making more fruit squares in the future, without all of the sugar of the Jello. As a person who is involved in the family law area of mental health, I see people every day who are faced with very difficult choices. A few months, I had a couple call to make and appointment to see me. They wanted to come in so they could get help preparing their preteen child for their divorce. The couple’s marriage had been unstable for years and the father wanted to end the marriage. They only have one child and he felt as if the child were being put in the middle of their conflict too much of the time. As the couple began to talk about their marriage and their history, it became evident to me that the marriage could potentially be saved. I, as a therapist, had a choice to make. Do I reflect back my observation that the marriage could potentially be saved or do I adhere to the goals with which they had presented? I chose to have the “what if” conversation. What if you tried to work on the marriage? What if you worked on the things that have brought you to where you are today? What if another reality could be imagined? We have since had several sessions of marital therapy and last night we had a session with the child. We discussed how family life could be improved and what family life meant for the three of them. I explored with the child his emotions around his family life. We worked together to repair. At the same time, I made it clear to the child that no one can predict the future and, yes, the thought of divorce is scary. At the same time that I was providing hope to this young child, I was also careful not to make any promises that I, or his parents, couldn’t keep. I chose to help this family try to get back on its feet and the family chose to follow that path as well. I hope they continue to make the right choices for themselves as individuals as well for their family. The end result may be divorce or it may be a healthier and better relationship and family life. Either way it will be continue to be my job to help them through this process and to offer alternative choices and realities along the way. I am currently writing a book about skin-to-skin contact after Cesarean. AND A DRAFT HAS BEEN SENT OFF TO THE PUBLISHER! I also took some amazing pictures of a mother breastfeeding her 2 week old baby…I just love them. I hope they make it in the book. Follow me on Facebook for more current information on the book and other skin-to-skin events. I was shocked! It took me years to develop the ability to pick out different instruments while listening to a piece of music. Either she has some skill that I don’t…OR, it’s because she is four and still has a skill that was “unlearned” with time. 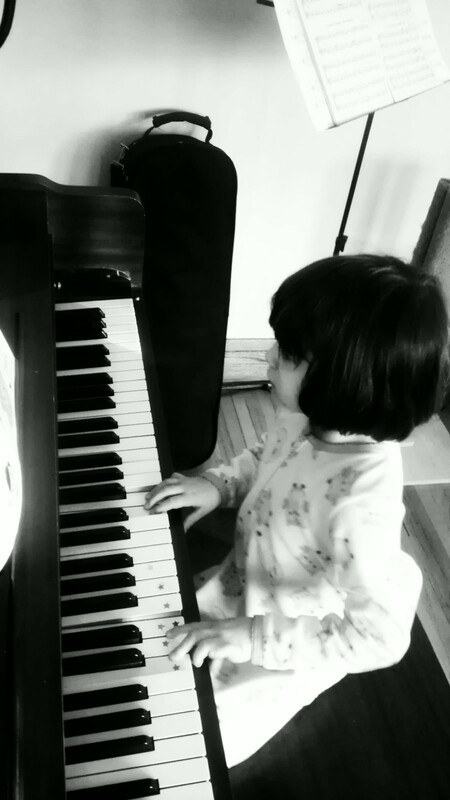 What I mean to say is that most children probably have the ability to learn to discern various instruments in a piece of music, or learn the basics of being able to carry a tune or follow a beat, if exposed to music early on and on a regular basis. At other times she sat on the floor and colored with the materials in the quiet bag provided for church services. Although she was coloring she was still listening as she would occasionally move and sway to the music. This is all music education. Some people may ask why one would take a preschooler to a concert as they “wouldn’t get anything from it anyway” but I disagree. I’ve wrestled with whether it is worthwhile and now I believe it is. When she was younger we did the “Music Together” program which was wonderful. There is lots of singing and musical activities that involve rhythm and tonal competence for both mommy and baby/preschooler. 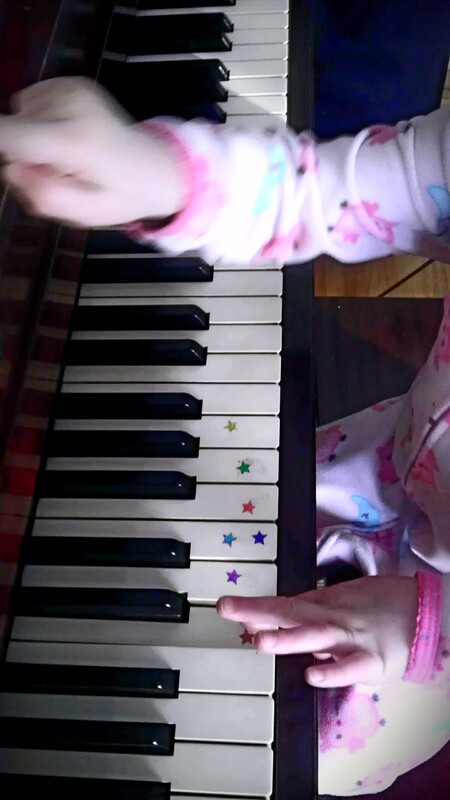 As for “formal lessons” she started taking piano lessons about six months ago. 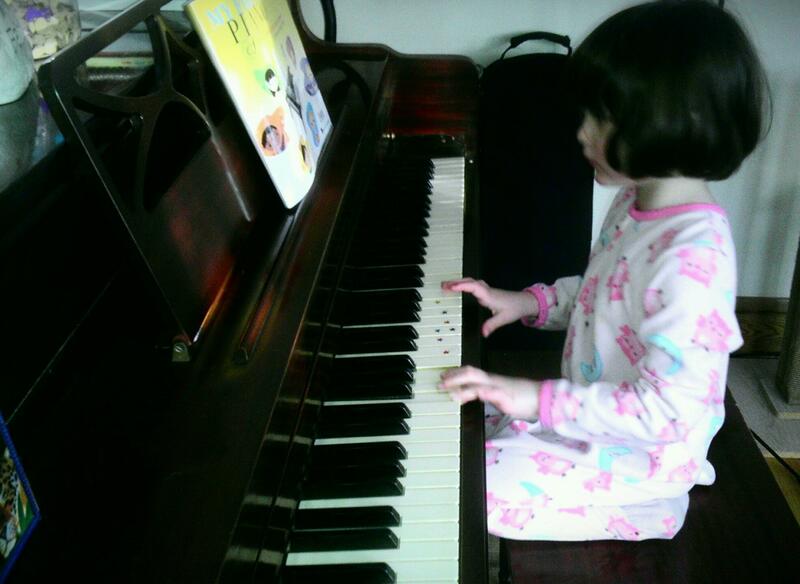 As soon as she started to show a real interest in banging the keys and pretending to play, I decided it was time. I called my own violin teacher and told her that the lessons were to begin. I made it clear that these lessons could be about whatever grabbed her attention and kept her engaged. There should be no pressure for her to be able to perform or master any skill. She does not have to practice anything in particular and nor do I ask her to. 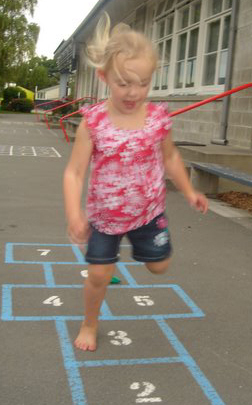 My goal was for her to stay with the teacher for the half hour once a month without leaving. I talked to her a lot about her piano teacher and her “music time with Stephanie.” At the beginning I avoided the use of the word “lessons.” I wanted it to be fun and engaging. We have recently gone to twice a month and for now that seems just right. And now she loves her lessons. “When will my piano teacher come again, mommy? Soon?” Now that music time has caught her interest and she is engaged and excited about it, I use the term “piano lesson.” My initial goal for her with the lessons was to just get used to the idea that someone would be coming to spend time with her for a set amount of time and that during that time her job was to be with that person. I wanted her to get a feel for what lessons felt like and for that to be something that she not only was committed to carrying out but something that she enjoyed. It has only been about six months and she has changed immensely since she started. In the beginning it was a huge challenge to get her to stay with the activities for the full half hour, even though the activities included stuffed animals and animal sounds! Now she will sit for full minutes at a time doing the child-focused activities that are in her first lesson book and even hitting a few keys at the right time. She LOVES it. When her friends come over she wants to bring out her book and bang around on the piano; she wants to pull out the CD and sing to the songs and do her music activities. I do not interfere with her process of developing a love for music and for creating music in whatever form that may come. My goal right now is to keep the spark alive and that is all. As she ages this will certainly change, but right now, her four year old musical self is coming alive and I love it! I hope it will never die. The reason I have reached out to you is because of your blog! 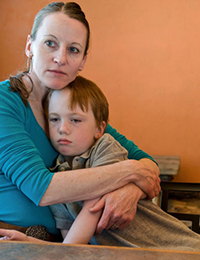 My name is Heather and I am a wife, mother, and a mesothelioma survivor. When my daughter was 3 ½ months old, I was diagnosed with this rare and deadly cancer, and given 15 months to live. Despite my grim prognosis, I knew that I needed to beat the odds for my newborn daughter, Lily. It’s been 7 years now and I feel that it’s my duty to pay it forward by inspiring others. In honor of upcoming Mesothelioma Awareness Day (September 26), I want to use my personal story to help raise awareness of this little known cancer, and to provide a sense of hope for others facing life’s difficult challenges. I would love it you would help me spread awareness by sharing the campaign page on your blog so hopefully your readers will participate! My goal is 7,200 social media shares – your support will help get me there!